Tangie'matic is the creation resulting from the latest FastBuds' research , where they have used the best Autoflowering varieties of the latest generation. This is how, as autoflowering , this variety comes to develop very high levels of THC. Although usually the average level is between 21 to 22 % THC, in some cases the FastBuds' team has detected levels of up to 23 %. They got the Tangie clone at the event in San Bernardino in California. By turning it into one of their autoflowers, the result was a hybrid with clear predominance of Sativa, although some individuals may appreciate nuances of their more indica parents. You should consider this variety especially if you suffer from migraines, anxiety, depression, chronic stress or loss of appetite. It is a particularly good option for those who medicate in the morning. 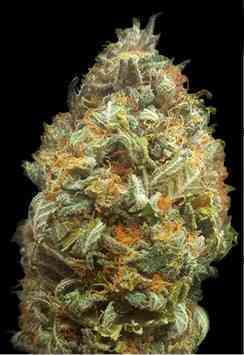 Taste: This variety has a strong citrus scent, refreshing and fruity, and tangerine flavor with spicy notes. Effect: After testing this variety, you will feel its “high” effect, typical of sativas, which gradually will become a "body Stone". 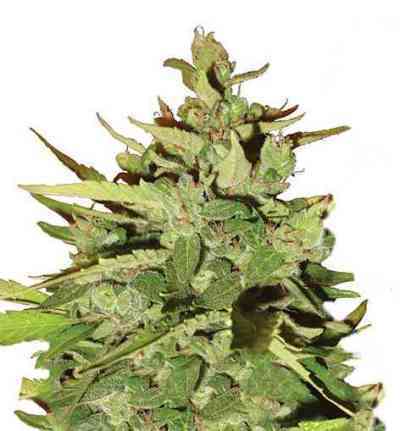 This is one of the most interesting varieties of the FastBuds' catalog; perfect for the most creative people as it has a sativa dominance, which will flow your imagination! About 30 minutes after trying it, you 'll notice yourself much more creative and stress relieved. And, without going any further, it gives you a good shot of energy! Its effect could be described as lucid and uplifting. It is highly recommended for both day use, and to take it at night; but be careful! If you are not very used to it, its high levels of THC can make you a misplay! Growing: This wonderful variety is easy to grow, the most important thing is not to stress her throughout its cycle, but especially in the growing season. When the flowering phase begins, you can see how their aromatic buds begin to gain weight dramatically. The production of this variety is impressive and comercial growers will love it. The only downside is that we do not recommend it for the "microgrowing" or "stealth growing" because of its large size. For best results outdoors, you should use pots up to 11-13 gallons (40-50 liters) so that this monster has enough space to show its full potential and grow up to 150cm tall! You will have to try not to stress her with training, to achieve maximum performance. If you provide a good care, love and affection, this plant will thank you with a huge production of resinous buds with unforgettable aromas.